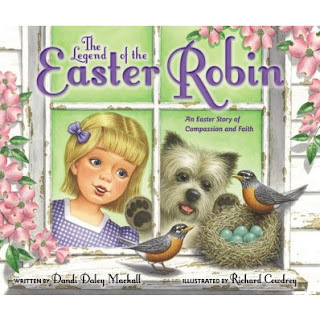 Book Review: "The Legend of the Easter Robin"
I woke up this morning and heard the birds chirping! Spring is coming! 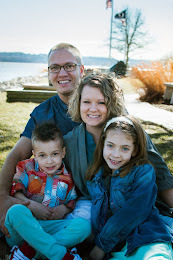 Tomorrow we are expecting the temperatures to soar into the 60's...this is awesome for Iowa. 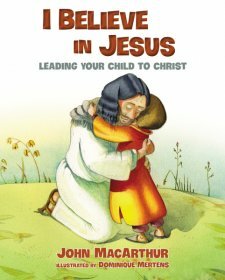 It seems fitting that with the warm temps I share this book which will be the perfect book to add to your library for Easter time! I was not familiar with the legend of the Easter Robin. This story originated from the Pennsylvania Dutch, we can also thank them for bringing the egg coloring to the United States. Overall this story will use a robin to help share the story of the cross and resurrection. I don't want to share the super sweet parts of the story and ruin it so I would rather you trust me and order the book and be delighted in it as much as I was. When you finish reading the book you will never look at a robin the same again. The next time you see one you will be thinking not just are robins a sign of spring but of Christ's love for us, his death, and his Resurrection because a birds nest will remind us of the thorn of crowns, the robins red breast will remind us of the suffering Jesus endured as he loved us and the eggs that a robin lays will remind us of new life we have in Christ. Thank you Zondervan for sending me this book in exchange for an honest review. I was not paid for this review and all opinions expressed are 100% my own.